And many have asked me whether I have a course on stock investing, dividend investing, REIT investing. Currently, I do not offer any courses. I find that the subject is very wide that courses have to be rather niche. For example, it would be about beginning stock investing. This will only cover about very wide and general aspects about stock investing. This allows you to kick start, but it will never be enough for you to have adequate competency to compound your money over and over again. My thinking is most courses are beginner courses and the breadth is not comprehensive enough for you to achieve the wealth accumulation you imagine in your head. 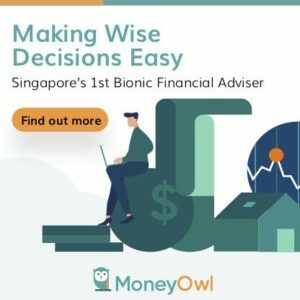 So Active Investing here simply gathers all the competencies that I believe you need to build your wealth with stock investing, dividend investing or taking active management in financial assets. Many people have different models that help you learn investing. My way is to show you how I divide these competencies from a high level view to help you compartmentalize lessons better. 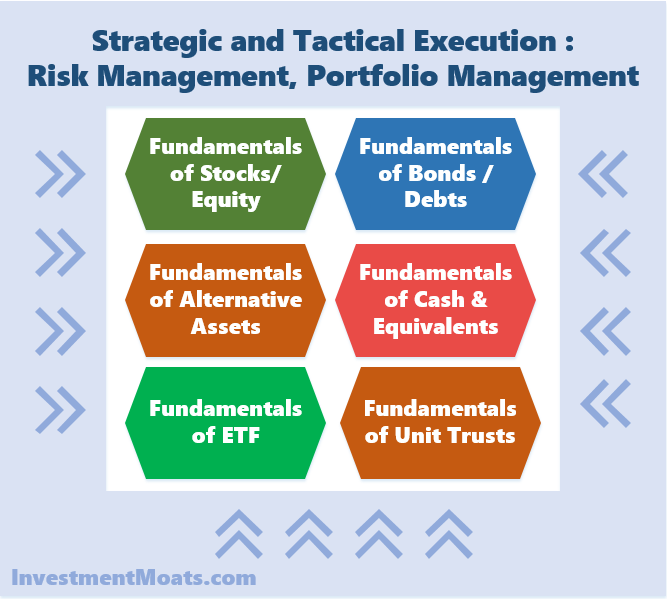 I view active investing as a combination of knowing the fundamentals of the financial assets that you invest in, and how do you go about executing a system to the financial assets. The best analogy is the woodcutter with the chainsaw. The chainsaw is a very useful tool. However, without knowledge about how the chainsaw works, you are going to hurt yourself. Knowing how to use the chainsaw is just one side of the equation. You have got to know under what conditions should you use a chainsaw and when its better not to use it. If you use it how much force to apply if you are using this brand of chainsaw versus another. In active investing it is the same. Stocks / Equity are just paper that indicates an ownership in a business. There are some stocks that exhibits good fundamentals and some that exhibits challenging fundamentals. You have to learn how to find out whether the stocks you own lean closer to, good, bad or just normal. However, stocks with good, bad or normal fundamentals, you can build wealth with them. There are many ways to manipulate the stocks. Some of you will do it successfully, some will not. Some of these systems work, but only under certain conditions, or by someone with ideal temperament. We always say that your mileage may vary. Investing is an area where you can read a lot yet your results will still be not good. You can read little, but as you are a critical thinker, you are able to absorbed good lessons, discard poor habits and end up being a winner. To have a wealth machine based on active investing, you have to achieve a rather high competency. This means you need to learn, execute, reflect, then learn and execute more such that you become better. The unfortunate thing is most people do not have the effort require or think the effort to reach adequate competency is very low. They assume going for a $3000-$5000 course gets them to the intermediate stage. This is seldom true. 2. 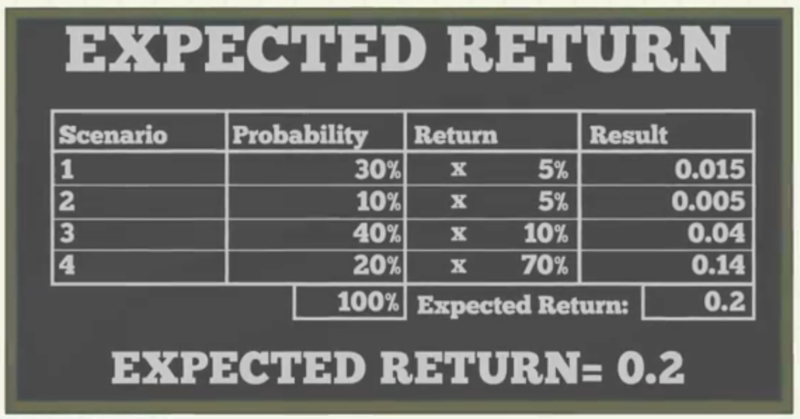 Fundamentals of Stocks / Equity. This would be the fundamental aspect of stock prospecting. I would go through which areas that I think is important. I will bring up some case studies to illustrate my point. You may be looking for me to explain how much should my allocation be to a single financial asset as a percentage of my portfolio. How long should I hold on to an investment. Whether I should invest at all? The decisions to invest depends on whether there is a good return given the risk that I am subjected to. This very much depends on how I look at the upside risk, the downside risk, and what is the expected returns I could get. In this article, I explain the model in my head how I size my position, why sometimes I am fast to cut loss, or take profit, while in other instances I can let my financial assets bleed longer than other financial assets. In fact, not just for investments, this is how I view what I do at work and in life as well! We are usually more concern about when a -50% market draw down so we are more anxious to move into cash soon to guard our capital and take advantage of the opportunities of buying at the cheap. The reality is that the markets can surprise us not just on the downside but also on the upside. In this article, I explained time in the market as well as the way you could frame upside risk such that missing out could be costly. I shared a little on my strategy to tackle market uncertainty, not knowing when the market will surprise on the downside or the upside. Diversification is a common recommendation to reduce the non-systematic risk of your portfolio. However, the more you diversify the more you can only earn market returns. So how do I think about diversification? In this extensive article, I explain my rules for myself and my considerations and what you should consider when thinking about your level of diversification. This is perhaps part 2 of concentration and diversification. It further expands on one of the topic of portfolio concentration and diversification. Perhaps this is also about how much you should allocation to stocks versus other asset class. When you are about to hit the target of your financial goal, you might face a portfolio size risk. This is very different from when you are starting up with very little capital. 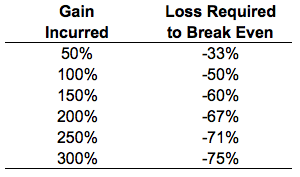 When you need to draw down your portfolio, you face the issue of the negative sequence of return risk. 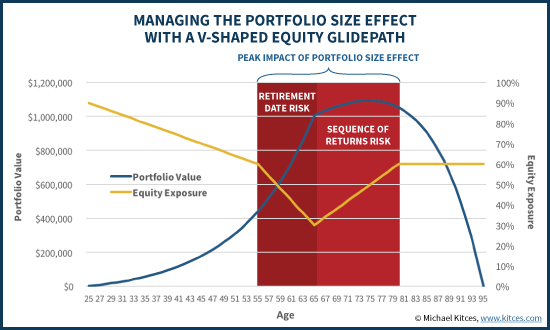 It might make sense to reduce the volatility of your portfolio temporary. However, if you are in the middle, a lot of the concentration depends on how much conviction you have in your investment process. This article explain more in detail. In this article, I give readers a look at what I think about having a stronger belief in the stocks that you buy. How do we go about getting more conviction? I also explain why I think conviction cannot be purchased and will only be acquired by a person over time. When you are able to get true conviction, you are able to stay in the position longer, and you are able to earn the more decent outsize returns. I found 2 articles by Woodlock House that shared the writer’s thoughts on portfolio management and concentration that might be useful for you. The premise is that we will not get all our stock picks right. Some of our stock picks is going to shock us. Yet the great investors have the same problems as us but they were able to generate great returns despite not always being correct. 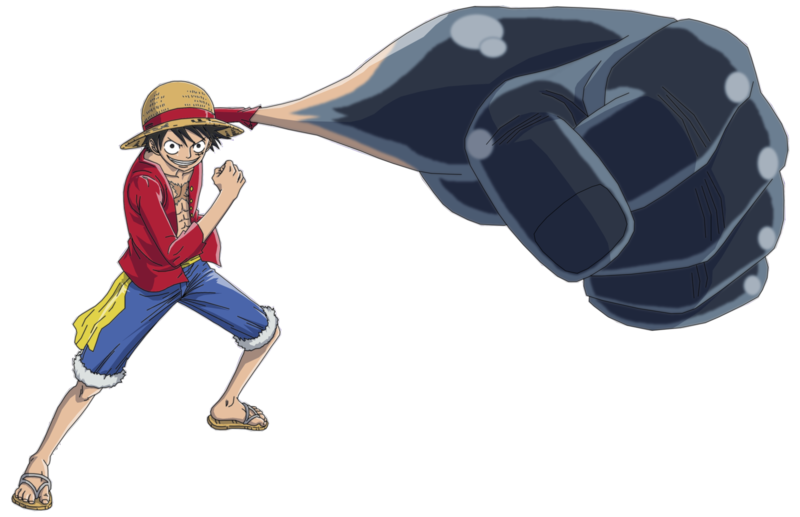 So what is the Kung Fu here? Most of us underestimate our tolerance to large drawdowns. Those that say they can tolerate, tend to be able to because they have less skin in the game, because it is a smaller portion of their overall net worth they hope to achive. If you have setup your portfolio, targeting when you need to use your wealth, you can ride out large market draw downs better. This post gives some illustration of how the tradition allocation works for wealth builders of different age groups: the young, the middle age and those that need the money very soon. Accumulate and Buying at Low Prices versus Dollar Cost Averaging – How is the result? There is a few articles that goes deeper into whether its better to wait for the correction and then buy, or is it better to stay invested. 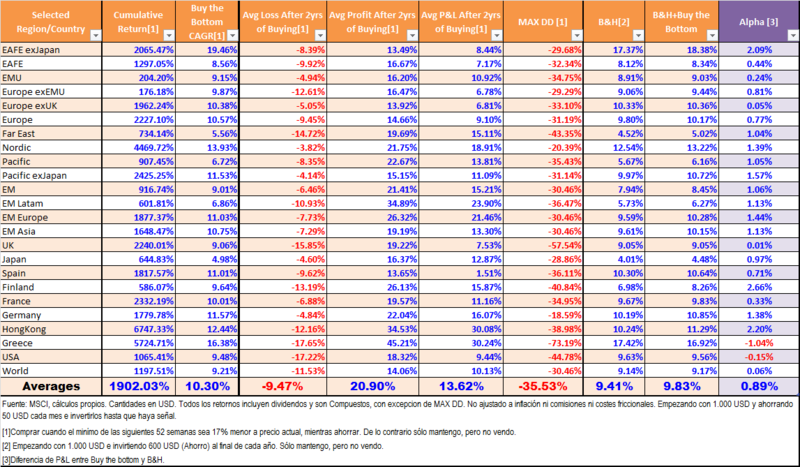 Gaspar Fierro a Spanish blogger, compared how well the greatest market timer would do versus a buy and hold investor. The buy and hold investor will dollar cost average $50 per month effortlessly. The great market timer would accumulate that $50 per month. He will only deploy all the money accumulated provided he sees the equity market corrects 17%. Gaspar did it for a lot of different equity markets around the world. And you can see his result in the table above. Nick Maggiulli, who writes at Of Dollars And Data, tries to show more comparison between the market timer versus the dollar cost averaging guy. In his example, the market timer is even more powerful, able to spot the absolute bottom. 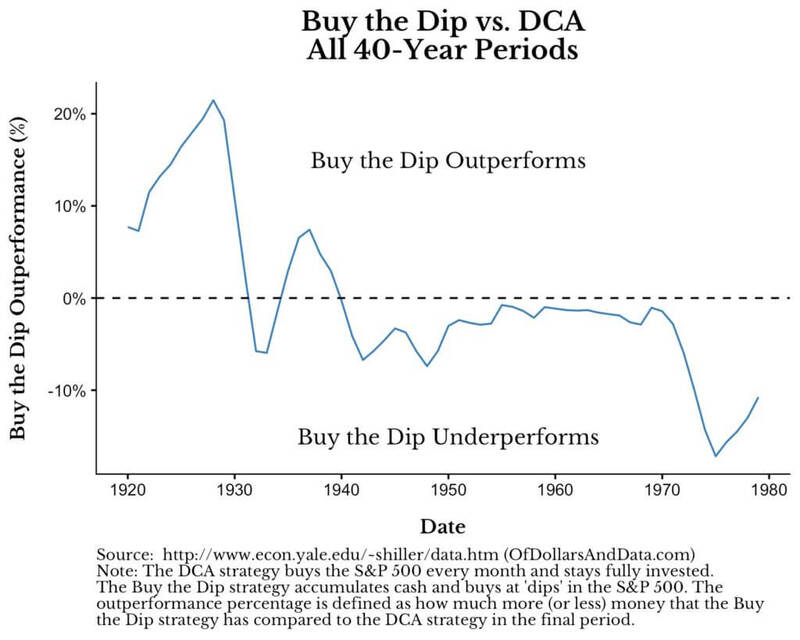 It would seem for a lot of time buy the dips under perform dollar cost averaging. One of the main reasons is that you need a lot of the lowest points to happen in the early part of the years. What worked for the dollar cost average investor is that eventually the market ends up higher, and that a lot of time in the market. To compound to that, not many people have a good crystal ball! To take advantage of the “Power of Compounding” you need time. You also need grit. Because there is always a cost and often it is to sit through really uncomfortable times like market volatility. I show how 5 different person holding $100,000 of iShares Russell 2000 ETF can have very different experience. 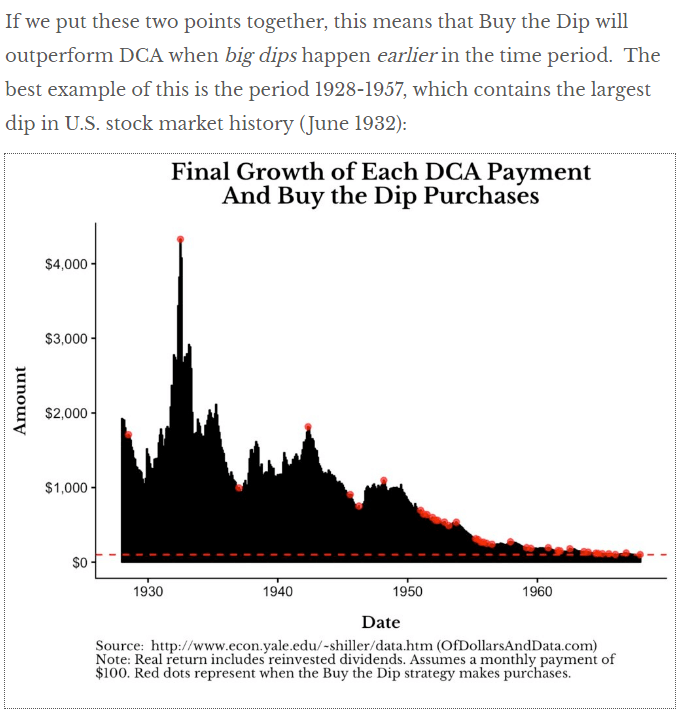 2 have a easier time and may eventually think stocks are a savings deposit, 3 others will have went through so much turmoil that they develop a healthy dose of cautiousness. Also what if you hold the EWS or iShare MSCI Singapore ETF from 1997 or 1998 to now? What is the compounded average growth? Sometimes, how much downside you can tolerate in your net worth is a function of how much income or capital injection you have on a recurring basis. 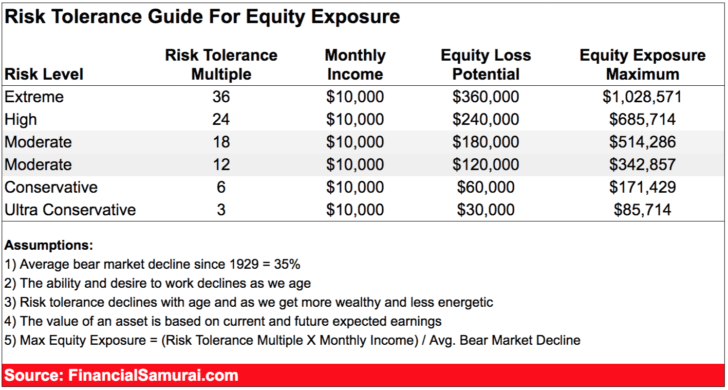 Suppose your portfolio is $10,000, and you are 100% in equity, and your income is $5,000. If your worst fear is a 40% fall in the market, your risk tolerance in months of your income is = (10000 x 0.4 x 1) / 5000 = 0.80 months. It will take less than 1 month of your salary to “rescue” your portfolio. But suppose your portfolio is $500,000 and you have the same income. 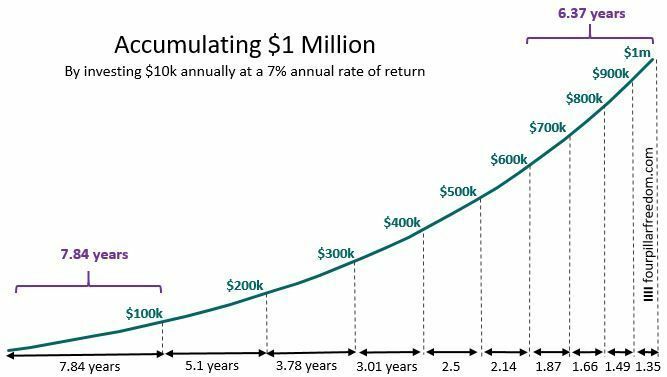 The number of months it will take your salary to save the portfolio from a 40% fall is (500000 x 0.4 x 1)/5000 = 40 months or 3 years. Some people are more risk adverse some are more risk seeking.You can frame and assure yourself of a very worse case scenario according to the income in your day job. with this you can compute your maximum equity exposure as well. If your in retirement, this might not work so well. you need other metrics. I run an active dividend portfolio currently and I think a lot of you are wondering what you could do to improve your portfolio. On a high level we can think of how to increase some passivity, or to make the portfolio more conservative. Now not everyone would want to do that, but I think understanding my thinking, contrast to how you think about it, might be productive. To shift it to be more conservative, the quality of the stocks that we pick needs to change a bit. The dividend payout ratio of the stocks you pick have to go down as well. I try to pigeon hole 2 to 3 different categories of stocks that seems more suitable for this purpose. 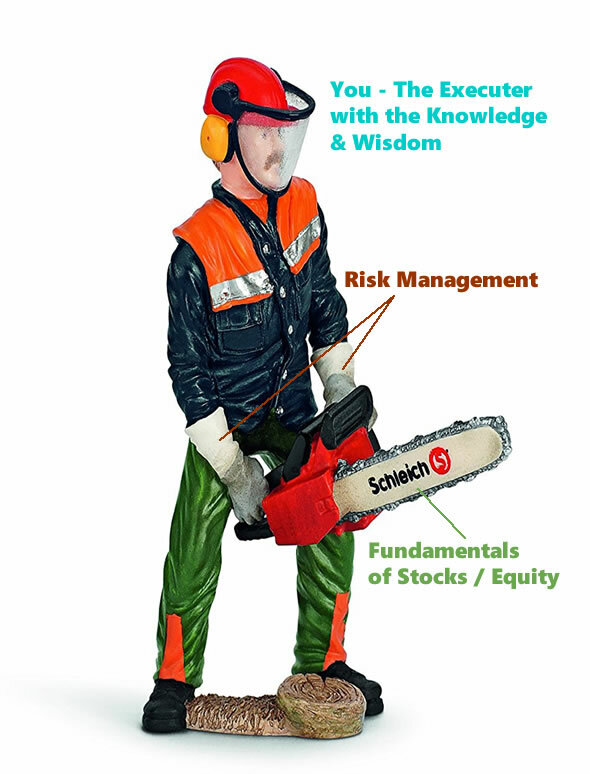 And I also explain what if you are adamant about keeping stocks with high payout ratio? Hint: You could, but you have to be cognizant that your financial independence, or retirement plan will need to change. 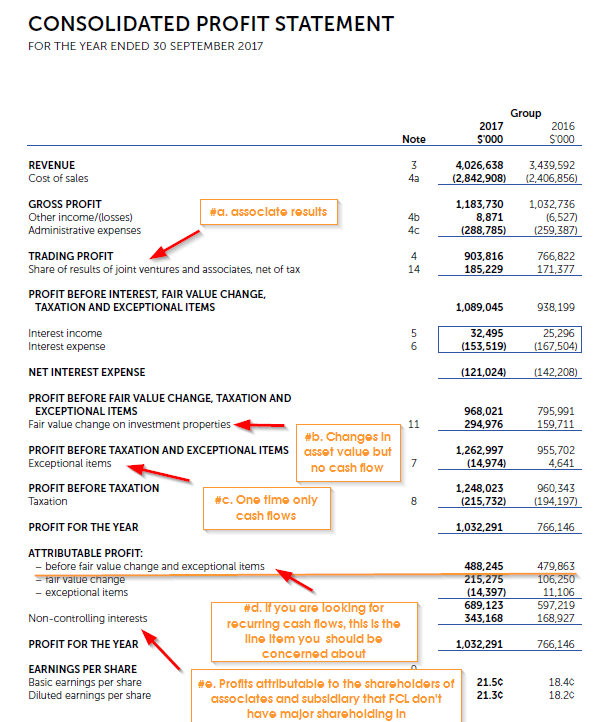 Understanding what is the various cash flows is one of the most important aspect of prospecting a business. If you think about it, the value of a business is either the tangible or intangible assets or the stream of future cash flows that the company can produce. With this regard, it means that if we can somewhat sense the cash flow of the business, we have a sense of how well the company is doing, the nature of the business and whether this is something we can invest in. There are some companies whose business is made up of different segments. Some of them generates cash flow. Some of the business is listed on the stock exchange and the main company owns part of it. Some of the company is still developing and not on the balance sheet. 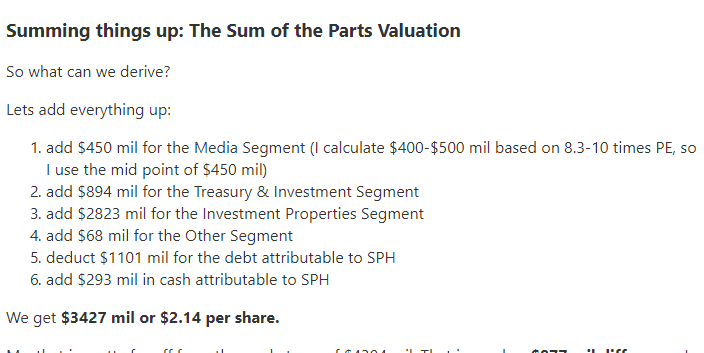 Usually, how we value companies such as this, is to use the sum-of-the-parts valuation. We go through one good example, which is Singapore Press Holdings.